Tube Exits for the London Underground - Save Time. Beat the crowds. - for ‘Way Out’, Tube interchange, British Rail and DLR. Save valuable time on the London Underground: no more delays following crowds and walking the length of the platform. 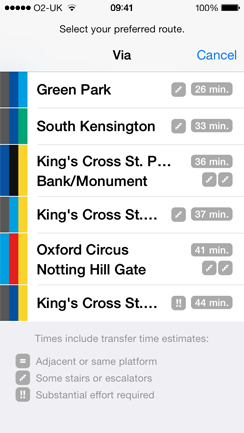 Shortest journey calculator, including ability to exclude stations and to re-route your journey as required. Street exits, with further information about the exits at your destination, such as which street they lead to, and when they are regularly closed. Which side of the carrriage you will get off. 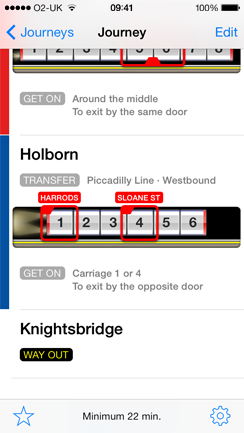 Can be accessed anywhere, including anywhere in the underground station, on the platform and in the train. Platform exit information provided for ‘Way Out’, line interchange, British Rail and DLR. Journey information provided for single or multiple transfer journeys. Users can save their favourite journeys for quick access. Get the reverse journey with a single tap. 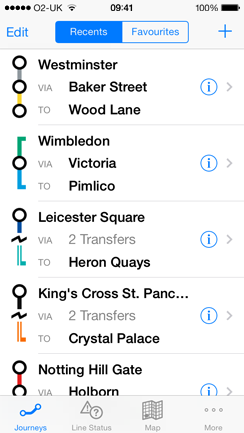 Journeys can be edited to add/remove stations or to change the required platform exit. 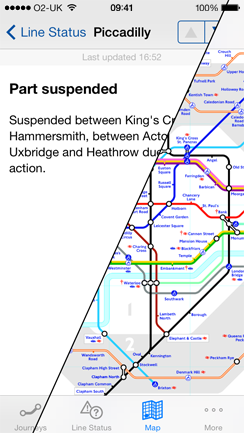 Output includes clear train visual showing which Tube carriage to board. Switch to other applications and back to continue with the last open journey. 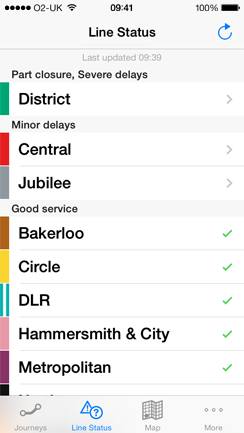 Users can download the Tube Map from the TFL website in order to view when offline. Available for iPhone and iPod Touch. A fraction of the cost of a single zone 1 Tube journey. If you want this app for your city/network and want to help make it happen, let us know. © 2011, Wavana · iPhone™ and iPod touch® are registered trademarks of Apple Inc.